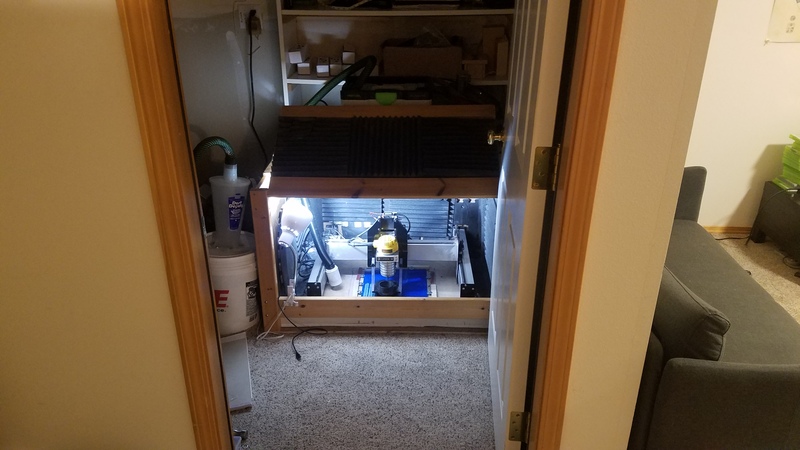 I used to have to leave my cnc behind during the school year, so I built a box and dust collection system and made room for it in the closet. I’m sure you neighbors must enjoy the times you are milling! The guy next door must be a clean freak he continuously vacuums his apartment. That closet is larger than some dorm rooms! Well rn I live in a basement, my cnc is in the same room as the boiler so I assume it’s somewhat soundproof, the people upstairs have not said anything about it.